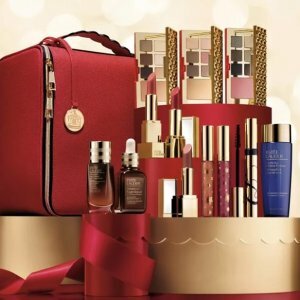 macys.com offers the Estee Lauder blockbuster collection (a $440 value) for $68 with any $45 Estee Lauder purchase. Plus, receive free 4-pc gift with any $45 Estée Lauder purchase. Estee Lauder Advanced Night Repair With Pink Tassel Keychain Limited Edition Collectible, 1.7-oz. Estee Lauder Estée Lauder Micro Essence Skin Activating Treatment Lotion, 2.5oz.